This volume reviews key recent research on improving banana cultivation. Part 1 reviews current challenges in banana production. Part 2 surveys ways of improving cultivation practice across the value chain, from propagation to harvesting, packaging and ripening. The final part of the book assesses ways of measuring and improving the environmental impact of banana cultivation. 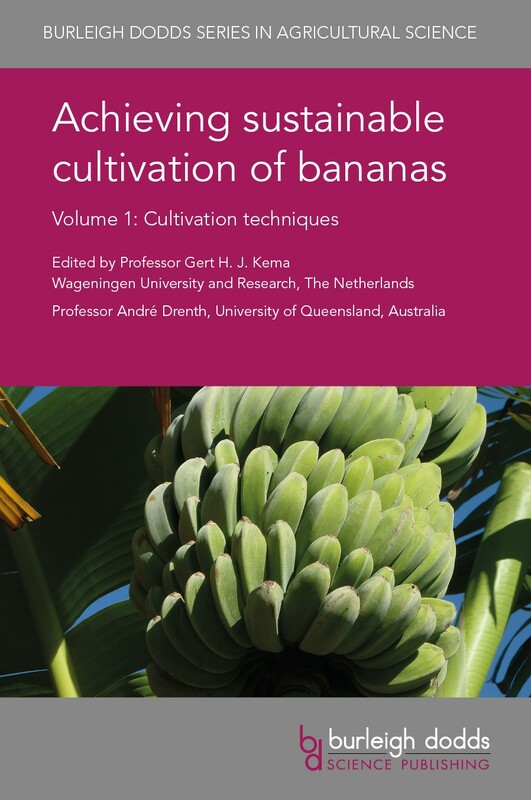 Highlights of the book include: the latest research on banana domestication and genetic diversity; new research on the limitations of current good agricultural practices and how areas such as soil health can be improved; and summaries of best practice in neglected but critical areas such as harvesting and ripening operations. Drawing on an international range of expertise, the collection will be a standard reference for the banana research community as well as banana producers.